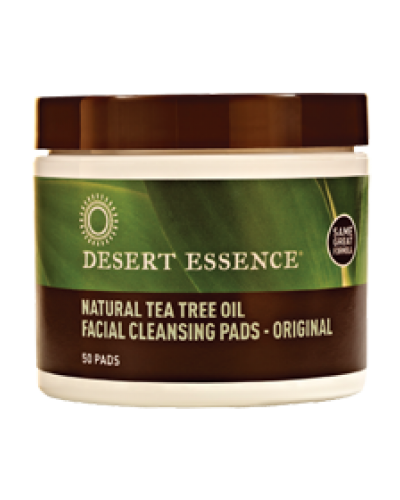 Dessert Essence Natural Tea Tree Oil Facial Cleansing Pads have been formulated with a combination of pure essential oils and herbal extracts to leave your face free from oil and dirt residues. Each moist pad contains Eco-Harvest™ Tea Tree Oil, and inherent antiseptic plant extract from Australia, combined with Lavender, Chamomile and Calendula. 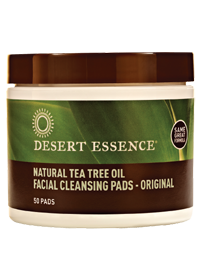 Used regularly, these pads will improve the texture, clarity and radiance of your skin. 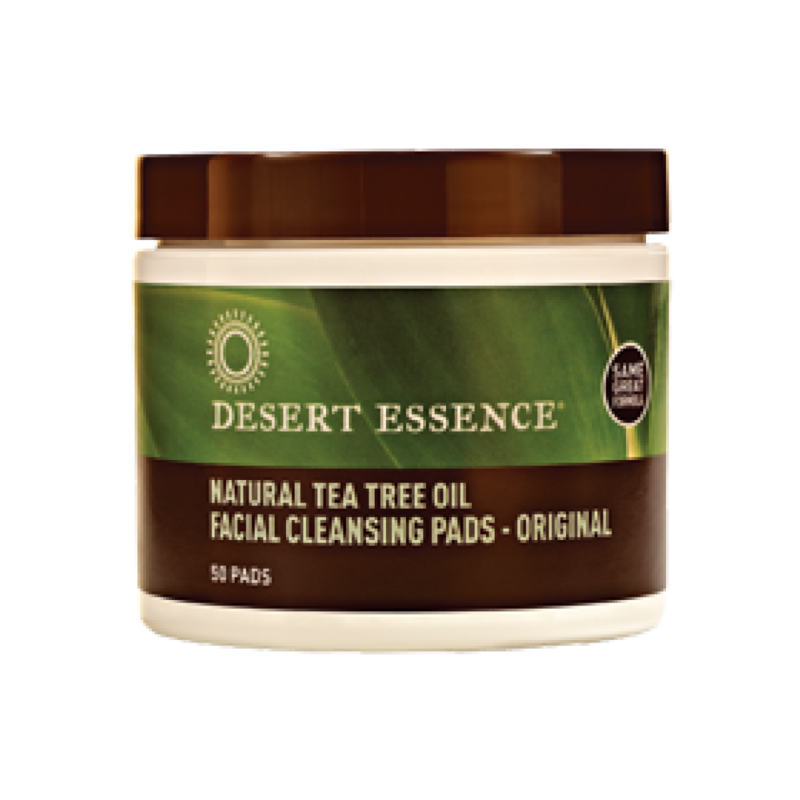 Cleanse the face with Desert Essence Thoroughly Clean Face Wash. Use one or two pads to gently cleanse face, paying special attention to oily areas and avoiding eye areas. Rinse with cool water and moisturize with Desert Essence Jojoba Moisture Cream. Witch hazel, organic grain alcohol, eco-harvest tea tree oil (melaleuca alternifoliia), organic calendula, organic chamomile german, organic lavender spike & organic lemongrass oil, extracts of chamomile, goldenseal, hawaiian white ginger & bladderwrack & neem oil. Animal ingredients, artificial detergents, color or synthetic perfumes.